SOUTHAMPTON, UK, April 09, 2019 – Rockland Scientific has been contracted to supply three VMP-6000 profilers to NOC Southampton (UK), the University of Tokyo (Japan) and the University of Bergen (Norway). The demand for such instrumentation highlights the increasing importance of deep-sea turbulence observations. Two VMP-6000s have already been delivered, while the third profiler will be shipped to Norway in May. 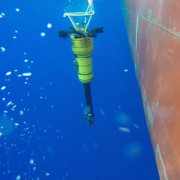 The VMP-6000 is a robotic, full ocean-depth (6000m) profiling system for measurement of turbulence microstructure, CTD, and other oceanographic parameters. 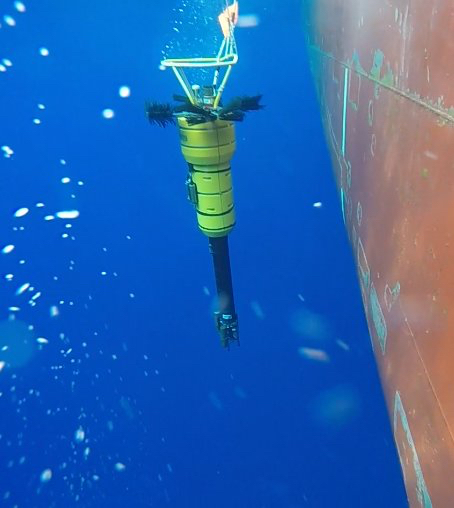 The unique capability of the VMP-6000 to measure the smallest turbulence signals in the abyssal oceans provides the researchers at these institutions with a tool to study deep-ocean dynamics and mixing, and their connection with larger scale processes such as climate change. Once delivered, the VMP-6000s will augment an existing suite of turbulence measurement instrumentation at these institutions, including coastal profilers and modular sensor packages integrated with ocean gliders and AUVs. A VMP-6000 deployed from a NOC Southampton research vessel. About Rockland Scientific: Rockland is dedicated to the measurement of turbulence in oceans, rivers, lakes and laboratories. Their measurement systems comprise of ship-board profilers as well as modular sensor payloads for deployment from gliders, floats, and moorings. They accurately detect turbulence levels, from the most energetic tidal channel down to the deep ocean. About the National Oceanography Centre: NOC engages in research covering a range of oceanographic disciplines to further understand the complex nature of the ocean. One such research area is the study of marine physics and ocean climate, which focuses on the fundamental physical processes in the marine environment and their connection with, and influence on, the rest of the Earth system. This research spans microscopic to global scales, extends from the coast to the abyssal ocean, and includes boundary layer interactions with both the atmosphere and the seabed. The Atmosphere and Ocean Research Institute (AORI) was established in the University of Tokyo by a merger of the Ocean Research Institute and the Center Of Climate System Research in 2010. The Ocean Circulation Section is engaged in physical research based mainly on observations by research vessels in order to reveal various phenomena in the ocean, including deep ocean circulation and mixing. About University of Bergen, Geophysical Institute (GFI): GFI is a leading institute in the Nordic countries in the field of observational oceanography. The institute’s research strategy rests upon use of cutting-edge measurement techniques in combination with theoretical studies and modelling. Studies on key ocean processes and their interactions encompass spatial scales from millimetre scales, relevant for ice freezing, turbulence and mixing, up to the large scale ocean circulation.